Harrods is a high-end department store in Knightsbridge, London. Founded by Charles Henry Harrod, the history of this beautiful and renowned store was established in 1824, when Charles Harrod was 25. It was then located south of the River Thames in Southwark. The UK’s second largest store, Harrods boasts over 330 departments set over one million square foot. Harrods is the destination where you gain more than inspiration, with excellent customer service where nothing is too difficult or too much, Harrods is the iconic location for tourists and Londoner’s to spend a day rather than a few hours. When I was studying Fashion I used to spend my time in the Womenswear department milling around the designer collections or buying the best Earl Grey Tea I have ever found! Harrods is a top London experience and everyone in the World should visit at least once! 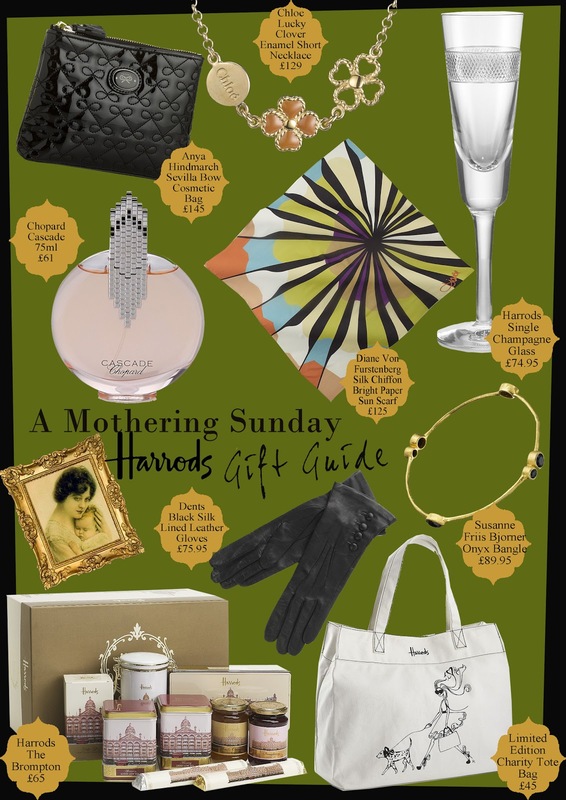 Below you will find the most perfect Harrods presents for Mother’s Day.